The story of Henrietta Lacks highlights the question of information ownership. Henrietta Lacks was an African American woman, living in the 1950’s, whose story was made famous in the bestselling book “The Immortal Life of Henrietta Lacks” by Rebecca Skloot. Henrietta was diagnosed and then treated for cervical cancer at the John Hopkins Hospital in Baltimore, but ultimately passed away. During one of her treatments, her physician took a sample of her cervical tissue without consent from Lacks. The cells were taken as part of a research program in the hospital that was attempting to grow cells outside of the human body. For years these researchers had been unsuccessful. The unique properties of Henrietta’s cancer, the same properties that made it so lethal, allowed her cells to grow in culture dishes. 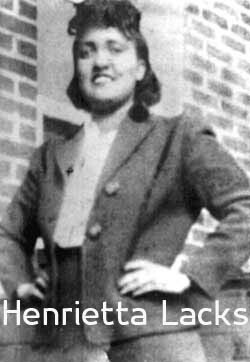 Her cells, called HeLa (for Henrietta Lacks), were eventually distributed worldwide and revolutionized medical research. HeLa cells even played a role in the development of the polio vaccine, all without Henrietta’s consent or her descendant’s knowledge. Great strides have been made to correct racial inequalities and the status of healthcare treatment for African Americans since the 1950’s. However, a core piece of Henrietta’s story remains unchanged. Should a person have control over their tissues once they leave the body? This extends today to questions of ownership of genetic information. Will the current boom in genetic technology lead to a modern day version of Henrietta’s story?